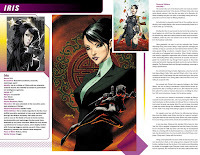 The Fellowship has obtained a first look at EXECUTIVE ASSISTANT IRIS: SOURCEBOOK #1 from Aspen Comics. 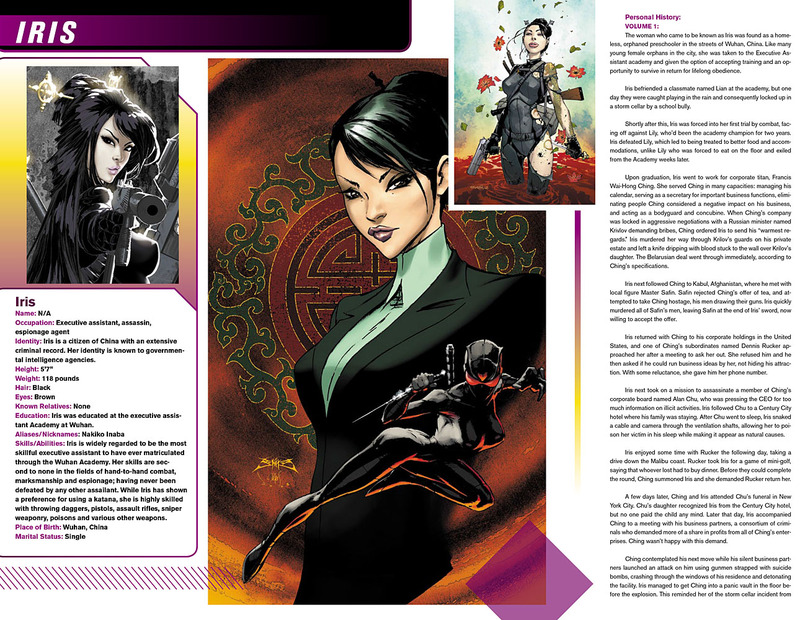 The issue, which hits stores January 27th, is written by Hannibal Tabu with art by Joe Benitez and various. 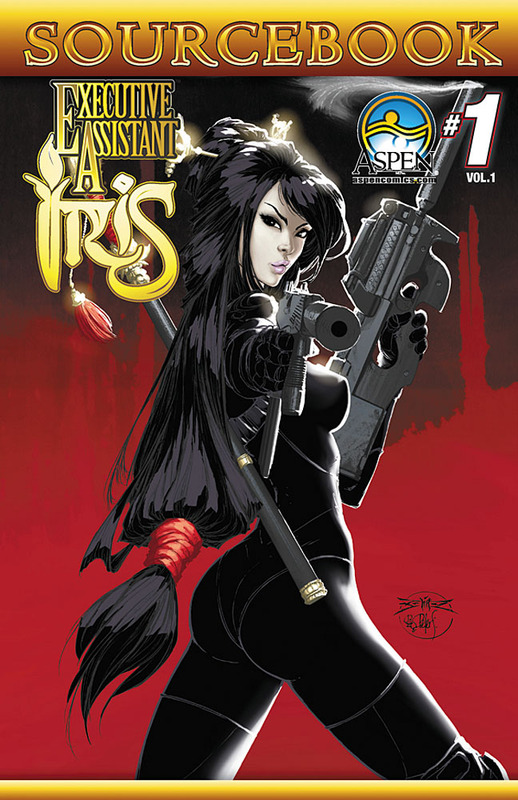 Created by David Wohl, Brad Foxhoven and Michael Turner, Aspen’s best-selling Executive Assistant: Iris series has thrilled audiences since its inception, and now fans and new readers alike can finally explore the rich tapestry of the EA Universe in this all-encompassing sourcebook! Jam-packed from cover to cover with detailed character profiles, in-depth power charts, revealing story elements and so much more--this is the definitive source to learn about all things Executive Assistant!